So this is a Challenge I face with my team, my business, and my personal life. What is your goal and how do you reach it? Sound like a easy question right? Of course we can jot down a list of our TOP goals for the year but are we taking the action we need to, in order to reach them? 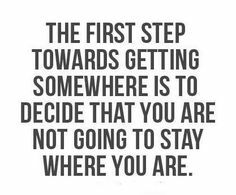 It's easy to say in one year you want to go from here (point A) to there (point B) But are you taking the steps required to get there? Do your activities reflect your goals? or do you get lost in the process, and frustrated you don't even know where to start? Well I got GREAT news for you. Here I am going to share HOW to stay focused and reach your goal. Stop reading and grab a pen and paper. Write down your top 10 goals (PS these goals are for YOU, you can't say I want my husband to eat better. That is something only he can commit to). Now read your goals back to yourself. Are these goals attainable, realistic and are you ready to make all the changes in your life necessary to reach them? If you answered YES, great it's time to get Started! If you said no HOWEVER you need to start over. Setting a goal isn't about picking out the GREATEST thing you want to happen it has to be realistic, attainable, and achievable. Ready to REACH your goals? Think about the future and what you want to accomplish. Perhaps you want to lose 50 pounds over the next 12 months. Write it down. Hold yourself responsible and accountable for reaching that goal. Putting it down on paper is like creating a covenant you have to stick to. Put that paper on a refrigerator or mirror—anywhere you look on a daily basis. This is a constant reminder of the pact you made with yourself to reach your goal. While writing long-term goals is a great start, achieving them requires detailing a number of steps to help get you there. After all, losing 50 pounds doesn't just happen because you write it down. Using that example, create monthly goals, or even weekly goals. For instance, you can reasonably lose 1-2 pounds per week in a healthy way. 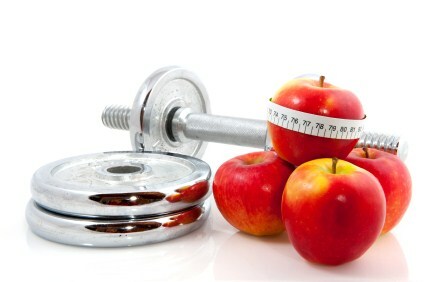 (Yes, you can lose weight faster, but 1-2 pounds per week is considered healthy for most people.) Then, write it down. You can then create a monthly weight-loss goal of 4-8 pounds. How do you think you can ensure you're on the right path if you have no way of measuring the results? It's easy with weight because you can simply jump on the scale. But the point here is that your goals must be measureable. Doing weekly or monthly weigh-ins ensures you stay on track with your short-term—and ultimately your long-term—goals. Keep yourself accountable by utilizing these measureable goals to see how you are progressing. If you see you aren't on track to meet a short-term goal, then you know you'll need to make some adjustments to get back on track. It can be something as simple as taking a peek at your diet and making some minor changes, or maybe adding a little bit more cardio to your regimen to burn more calories. Unrealistic goals set the stage for failure. You'll quickly get frustrated, and ultimately you'll derail from your long-term goal. Setting an aggressive long-term goal can be counterproductive; you'll have a better chance of success of actually reaching your target goal if you give yourself the time you need. You're not going to get there overnight, no matter how badly you want something. It takes patience and persistence, and that has to be your approach. Next you'll need to create an action plan for your short-term goals. Following with our example, put in place a workout and nutrition plan that allows you to lose 1-2 pounds per week. The plan should fit your schedule and allow you to work out a certain amount of days a week for a given period of time. Be specific about your training plans, detailing how many days and how much time you can commit to. Writing it down is JUST the first step. Ask yourself why you want to achieve that goal? What will it do for you? Why is it important? What will your life be like when you reach it? How will this achieving your goal change things for you?<---WRITE this all down and review it frequently, in times you are down it will remind you of why you started. If you don't know why you set your goal you won't know how to get there, and most importantly you won't know how to commit to it! This is called "accountability." Once you've defined your goal and committed yourself to achieve it, start Tracking it! Keeping a written record of what your doing is a GREAT way to see what you are doing right and other things that you could improve on. It also charts your progress, documents your milestones, The act of writing out your journey creates a sense of commitment and also allows you to read it. Reading your story & goals allow you to see how far you have come, where you started, as well as your hurdles and victories... it gives your mind more confidence that achieving it is possible. Writing about your goals makes them emotionally real and powerful. When I first started my journey I knew I would fail unless I did something drastic. I had finally hit that point there I WANTED to change more than I wanted to remain miserable. I created a public blog (my first one) as a way to stay ACCOUNTABLE and committed. It helped me focus on my purpose and goals and it allowed me to see where I could improve! I'm not saying you have to create a public blog, a journal would be fine... Just keep track of what your doing, the steps you are taking, and your goals. It's easier to stay committed when you see it in black and white! No mater what your goal is... THERE IS HELP OUT there! Support from family and friends can go a long way toward helping you reach your goals. Don't be afraid to let them know what you're trying to do-and ask for their help. If you don't have support at home seek out others (via social media or BLOGS) who are doing what you want to do or have the same goals. There are a LOT of great people out there so don't be afraid to reach out! If you your afraid to talk about it "publicly" have a coach help you through the process. Your goals won’t happen overnight, they also won’t happen without work. You will have to overcome many obstacles before you reach it. There are always people who will work against you (if it’s not yourself doing so) or technical hurdles you will need to overcome. NEVER discourage yourself, always stay positive and focus on being a problem solver. Keep pushing even when you think everything is lost. No one has ever achieved anything without past failures or setbacks, try to stay positive. The process is a journey, and quite possibly a long one. If you drudge through every day miserable because you hate what you have to do and you see no light at the end of the tunnel, you're far less likely to ultimately succeed. Find activities you enjoy, and that will help you reach your short- and long-term goals. If you fall off the wagon just review your goal, change if you need to, and re-commit! Have your own tip on how to reach a goal? I would love here it.... post in the comments below! I think you will find more great articles like this one on this blog, my friends. We often face challenges. No matter what we do. At college, my friends and I have started a coach blog for freshmen. We help them train and get successful results during the games, while they help me write my college essay or assignments on any of the subjects.